An unusually large and heavy greatsword normally wielded with two hands. This highly versatile weapon can be swung broadly or thrusted. While in stance, use normal attacks to break a foe's guard from below, and strong attack to slash upwards with a forward lunge. 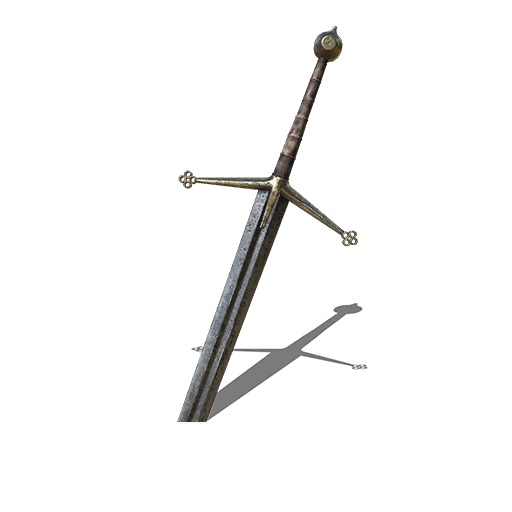 Found in High Wall of Lothric in the farthest corner of the upper street where the Lothric Wyvern is. Dropped from Irithyllian Soldier Slaves in Irithyll of the Boreal Valley. R1 — etc ? — ? N/A ? — ? L2 + R1 0 + ? N/A 0 + ? L2 + R2 0 + ? N/A 0 + ? The maximum values for the base version and each infusion for this weapon.